The new Sermon File Addin plugs right into Logos Bible Software and provides a way to store, organize and search your sermons and illustrations. As you enter or import your sermons and illustrations, they become a full-fledged Libronix book in your digital library. Your sermons and illustrations show up in Passage Guide. And you can open, browse, search, KeyLink, and mark up the text just like you would any other Logos book! Select this option in order to submit this sermon to the Logos Sermon Database. Our plan is to make submitted sermons available through a future web service, or an existing online sermon database. By submitting your sermons and illustrations to the online database you grant Logos Research Systems, Inc., and its assigns, a perpetual royalty-free, world-wide license to republish your sermon or illustration. You also create an opportunity for others to benefit from your study and teaching. We will never publish your sermon without attribution. In any case, it's still a great deal. Thanks, Logos! Doh! This cost me $60. Thanks for the tip, I passed it on to everyone I know who has Logos. Hmmm... but doesn't Accordance offer this sort of sermon integration for free and without any royalty-free licensing option (much less as a default)? Does Accordance offer a sermon integration module? I know that it has a nice way of integrating user notes, and one can also create a "User Tool" that allows for the creation of types of notes along with importing of HTML files. That isn't quite the same as what the Logos Sermon File Addin (SFA) is trying to do. 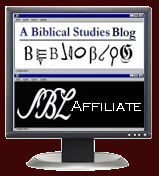 Both BibleWorks and Logos have similar sorts of note-taking features as Accordance, but the Logos SFA provides a way of organizing, tagging, and linking sermon files that are in DOC or RTF and exist outside of Logos.